Younger women are listening to a lot of sermons by women preachers/teachers these days. Unfortunately, most of these women preachers/teachers aren’t teaching younger women what they need to learn. God is clear in His Word what older women are to teach younger women. They desperately need to be learning to submit to their husbands, how to properly discipline their children, to be sober, discreet, modest, chaste, good, and keepers at home since many younger women who claim to be Christians don’t look or act any differently than worldly women. What does “teach” mean in this verse Titus 2:2, “that they may teach the young women to be sober, to love their husbands, to love their children,…”? How involved in the younger women’s lives should the older women be? Do you notice the word exhortations? Exhort means to “to advise, to warn, and to caution.” Most young women don’t want to be advised about anything unless they ask but this isn’t biblical. 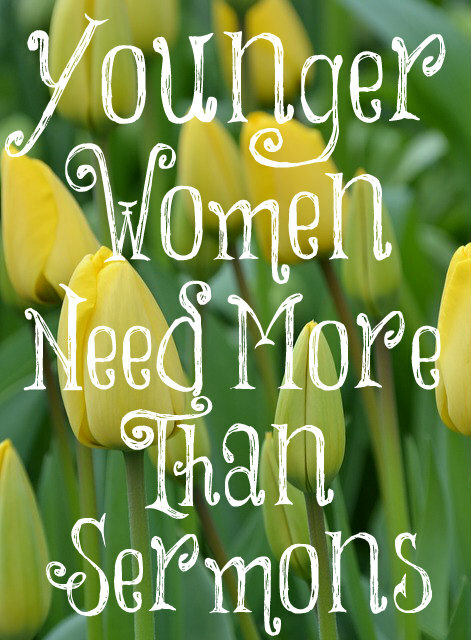 As godly young women, they should want to learn and be exhorted by the older women who have wisdom and experience. The Apostle Paul didn’t believe that sermons about this topic would be enough for the young women just as sermons to children about being godly children aren’t enough. It would make it a lot easier for us older women if the younger women were hearing a few sermons from the pulpits (male preachers) about their role in life, however! As children need to be trained consistently in the ways of godliness, so do younger women by older women. They need to see older women in action loving and serving their husbands and children, and working hard at home since most are not given any example of this as they are growing up with so many being raised by strangers as their mothers go off to work each day. I write a post almost every day. My aim is to exhort younger women daily in the ways of godly womanhood. I do what I can to answer emails and private messages to me about individual circumstances and give individual instruction. I encourage women to keep their homes clean and tidy, fix nourishing meals for their families, discipline and train their children, and be submissive and godly help meets to their husbands but it’s far better if the older women of all the churches around the world took up the task of teaching the younger women. Nothing can compare to a real-life example. Once in a while, I am blessed to watch a godly, submissive woman with her husband and it teaches and encourages me to be likewise. I am always learning and watching because I desire to obey the Lord in everything. Jamieson-Fausset Brown Commentary wrote this about the word ‘teach’: “It was judicious that Titus, a young man, should admonish the young women, not directly, but through the older women.” Admonish means to “to warn or notify of a fault; to counsel against wrong practices.” Do you know how difficult this is to carry out these day? Most young women don’t want to be warned about anything or counseled against wrong practices. Thankfully, I have my blog in which I do admonish women against various destructive habits and things they are learning from our culture. I admonish them against peaceful parenting when parents don’t say “no” to their children or set any type of boundaries with them or discipline them in a biblical fashion. I admonish them about being angry and upset with their husbands. I spend a lot of time warning women about the destructiveness of feminism on their marriage and home life. I encourage women to be submissive to their husbands and keepers at home since I know that no one can take the place of a mother in a child’s life or a wife in a husband’s life. Love this (as I do so many of your posts)! 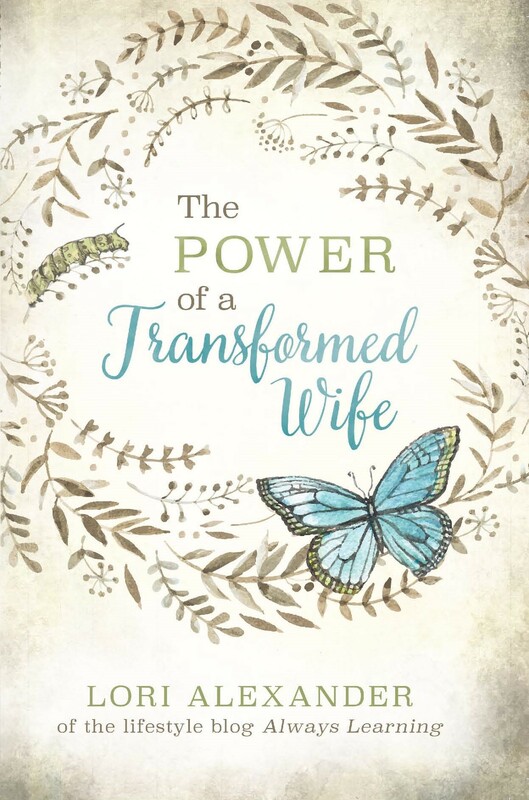 It just occurred to me while reading this that for some of your male readers that are having a difficult time with their wives that they may want to invite a Godly older woman into their homes. (If one can be found). Perhaps their is an older couple at church or sweet couple in the neighborhood that they can start building a relationship with that will make a good example for their wife. I’m sure the older couple would be delighted to have some “young” friends and there wouldn’t be any baggage like with a mother-in-law or someone like that. I agree in church the younger men and women want to tell others what and how to do things.If they don’t like something they want to change it. They do not want to be taught by older people. I have grieved many times over this, JB. However, I have had a lot of young couples ask me what is our secret for such a loving and happy marriage over the years. How is it we still hold hands, cuddle, hug and kiss in public? And it has been a joy to tell them to follow God’s Word on everything. Many times I have told them that one of the best things we can do is love our Hubbies more than we love ourselves; and those that I have said that to have told me that, much to their amazement, it works – who would have known! I have also shared that I strongly believe there can only be ONE leader; most of our family members don’t agree with me, but those who have listened have said it has helped. Marriage, like most things, can only have one leader. If there is more than one, the family will not know who to follow: Dad or Mama??? It is too confusing, and God is a God of order not chaos. I had to be the leader for about 10 years because my dear Hubby was very sick and, trust me, in that time I saw just why God gave that job to the man – it was so hard; hard on my body and mind. People told me it was the hardest thing I would ever have to do when I gave my dear man back the reins. Oh no, it was not! It was a day of celebration for me and a day of GREAT joy!!! Free at last! We do make decisions together but Antony makes the final decision – not me! Praise God!!!! God’s plan is perfect in every way. He leaves nothing out; His plan is complete and perfect – end of story in my book!!! About the only thing I have final say in is decorating our little cottage as my Beloved is partially colour blind and, well, it would not work out too well if he chose the colors – bless his heart!